Beats by Dre meet app by Hanks. For people of a certain, writing means typing and that means a steady stream of clickety clack sounds. Actor, director, producer and all-American icon Tom Hanks has put his name to many things, but Hanx Writer is his first iPad app. Yes, boys and girls, now you can feel like a real writer when you type the great American screenplay on your, wait for it, iPad. Anything is possible with money. 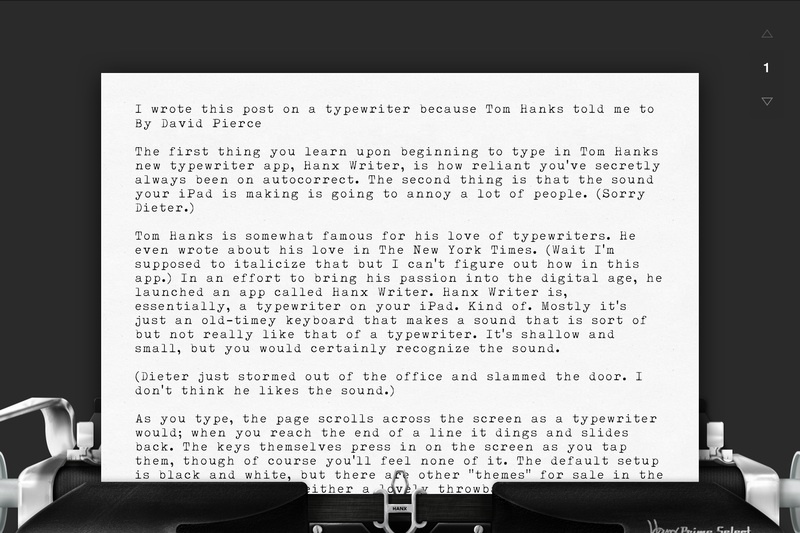 The example of Tom Hanks new app, Hanx Writer (free, requires iOS 7 or higher), a perfect example thereof. 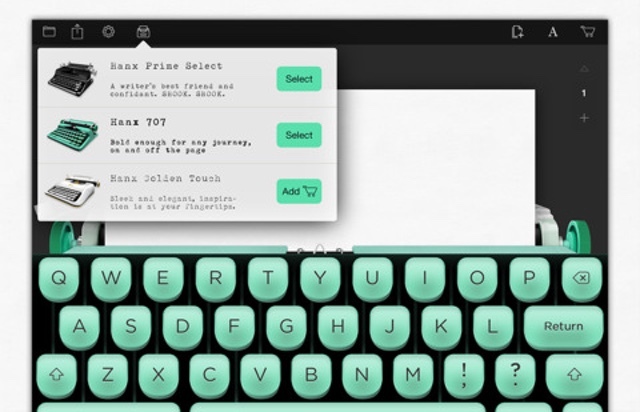 Explore the Hanx Writer typewriter collection. The Hanx Prime Select is the writer’s best friend and it’s FREE; the Hanx 707 is bold enough for any journey; and the Hanx Golden Touch is sleek and elegant. Discover the unique features each typewriter has to offer. You already know how to work them – now get writing!